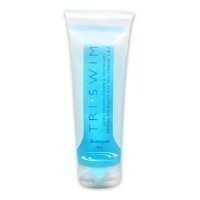 TRISWIM's salon quality Conditioner pampers your hair as it highly moisturizes. Our innovative formula works to hydrate and condition to improve dry and damaged hair without leaving a heavy buildup. Formulated with a light pineapple/citrus scent, TRISWIM uses the finest ingredients that will leave your hair shiny, smooth, hydrated, and healthy looking. 8 oz.